Reader William Froment sent me this wonderful recipe he created with two of our popular infusions, Jolly Ranchers Vodka and Salted Caramel Vodka. I’m calling it William’s Caramel Appletini in his honor. William prefers rum to vodka in this one. I’ve made the infusion both ways, too, and I can assure you they are pretty much interchangeable in these infusions. While the vodka won’t add any flavor – just a kick – rum will definitely add some of its own flavor. 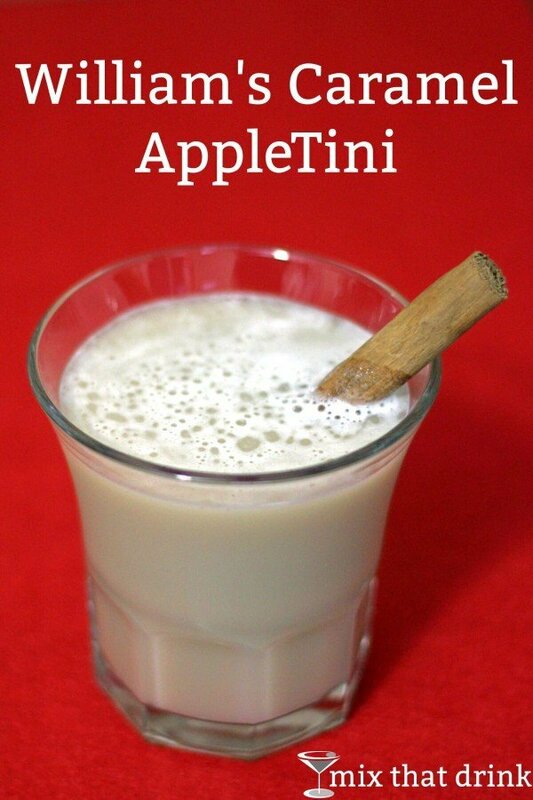 I always use something simple like Bacardi white rum, unless you have a preferred go-to rum that you love the flavor of. You could actually use a dark rum in this infusion. So make sure you use a rum that you really like the flavor of, and that way it will only add notes you like. William also assures me these are “100% better using these home brews over the stuff you get in the store”, which is exactly why I make my own. You can also tinker with the flavors to get it just how you like it. Another variation that William suggested for this one is to use Cinnamon Jolly Rancher vodka or rum, made from my Jolly Rancher vodka recipe. Then you get a Cinnamon Appletini, which is divine. And for a Cinnamon Caramel Appletini, put some cinnamon Jolly Rancher candies into your salted caramel vodka or rum infusion. There’s a slightly creamy feel to this drink, because of the Salted Caramel infusion. It picks up some of the sugars in the infusion process and that adds a little bit of weight and texture to it. It’s not thick at all. It just has a very nice mouthfeel. This is a divine dessert drink. 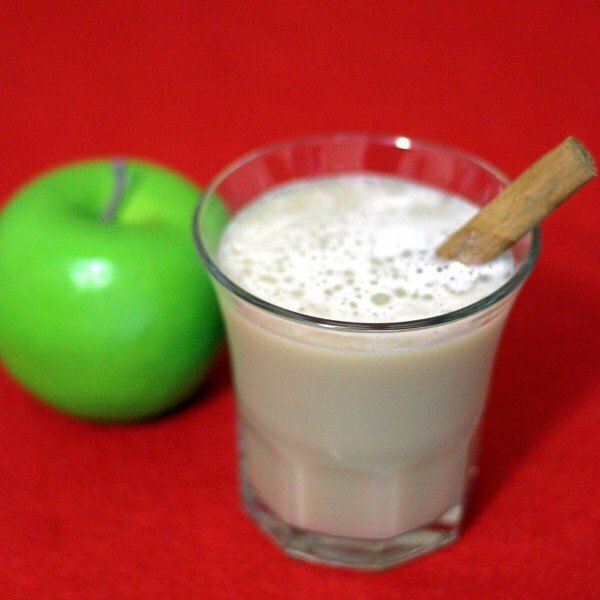 But if you want to pair it with food, try an apple coffee cake or baked coconut chicken strips. Fill a shaker with ice cubes, pour in all ingredients, and shake for 10-20 seconds. Strain the mixture into the glass and serve. Wow, wow, so amazing drink recipe.